By default installed Digital wellbeing feature on Google Pixel 3 and Pixel 3 XL Pie 9.0. 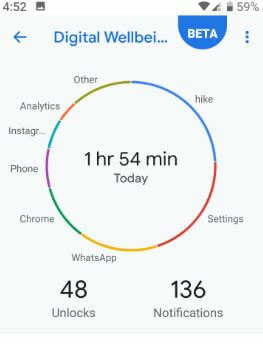 Digital wellbeing app is most useful to check how many times spend on your device per day, how many notifications you’ve received, how long you’ve used each app on your phone and other details. So let see how to use Digital wellbeing on Pixel 3 and Pixel 3 XL 9.0 Pie. If you have older Pixel devices, download Digital wellbeing beta on your older Pixel devices using this. 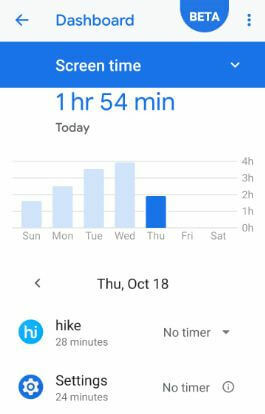 This Google Pixel 3 Digital wellbeing feature includes screen time, app timers for set app time limit, Wind down, Flip to Shhh and other handy settings. 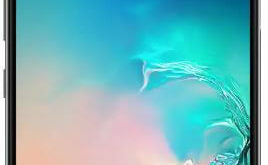 Check out below given settings to enable and use Digital wellbeing on Pixel 3 and Pixel 3 XL Pie. Supported Android 9 Pie devices download and install Digital Wellbeing Beta feature in him devices. You can see Pie chart that explains how many time you open apps and which is the most used app. Here you can see Round shape Pie chart that indicates which app is mostly open on your device. It include Dashboard, Wind down and reduce interruption section that include manage notifications, Do not disturb and Flip to Shhh. 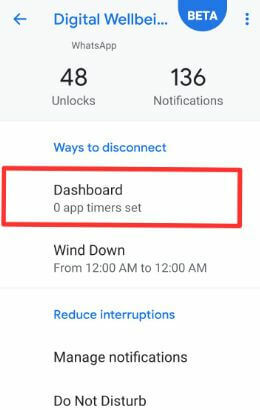 You can see app usage time on your Pixel 3 and Pixel 3 XL device. 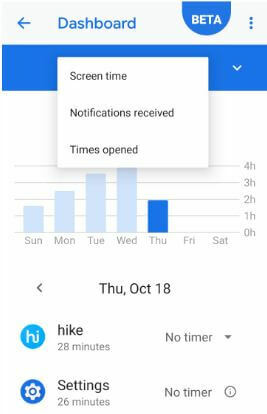 Also choose from screen time / Notification received / Times opened. You can see individually app usage, how many time unlock your device, received notifications and other useful info. It’s quite easy to use Digital wellbeing on Pixel 3 and Pixel 3 XL 9.0 Pie devices. By default turned off this option. When turn on wind down on Pixel 3 and Pixel 3 XL, it will convert your device screen to grayscale mode. 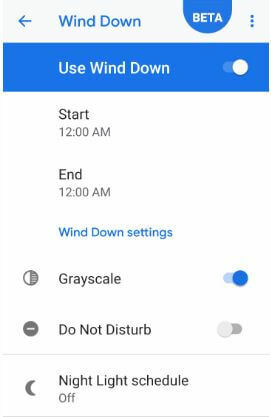 You can also turn on Do not disturb and Night light when activate wind down mode on Pixel 3 XL and Pixel 3. Google Pixel 3 and Pixel 3 XL added this new feature on Digital wellbeing settings. This Pixel 3 XL Flip to Shhh useful when you attend important meetings or business functions and forgot to mute or silent your device. You can quickly turn on DND mode using Just turn on flip to Shhh on Pixel 3 XL and Pixel 3. 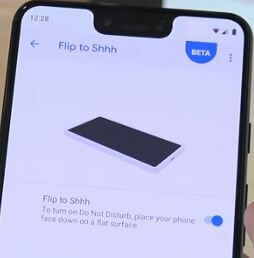 When enable flip to Shhh on Pixel 3, place your phone face down on a flat surface to turn on Do not disturb mode. You can also see manage notifications and Do not disturb option under reduce interruption sub heading. And that’s all. We hope this makes it clear how to use Digital wellbeing on Pixel 3 XL and Pixel 3 Pie 9.0 devices. If you have any question, tell us in below comment box.